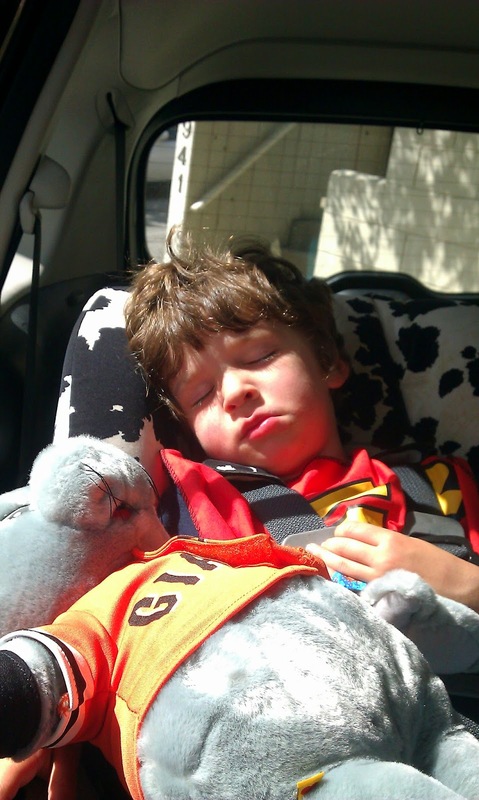 TBT: the kiddo fell asleep on our way home from his first giants game on May, 2011. Hot dogs, ice cream, and the stuffed Lou Seal from the Build-a-Bear workshop in the concession area behind the outfield. Hooray for capitalism! And hooray for the Giants! I just realized that this was during the phase when he would wear his Superman cape EVERYWHERE. It was one of those special birthday gifts that keeps on giving.